It’s Monday, Jan. 10, and I’m walking through a windy winter morning in downtown SLO. I’m taking the Walking Tour of Box Art, crossing off little circles on a map that came with the Activity Guide I got from the Parks and Rec department. I’m starting with No. 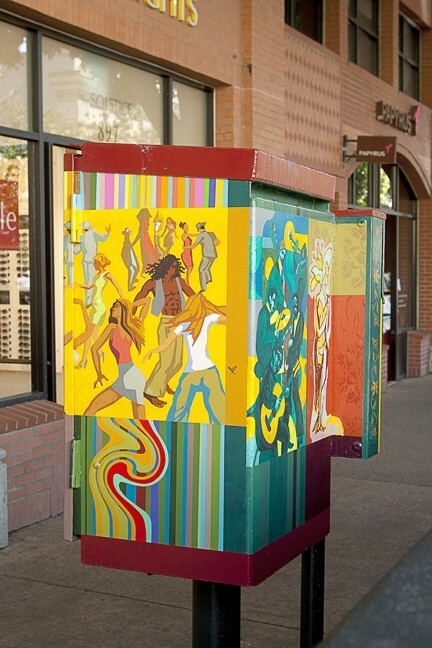 13, a series of seven bands of muted colors by Marcia Harvey, which is on the corner of Santa Rosa and Marsh. New Times photog Steve Miller just showed me a photo he took of it days ago when it was covered by seven-fingered Japanese maple leaves that had been carefully applied by a passerby. 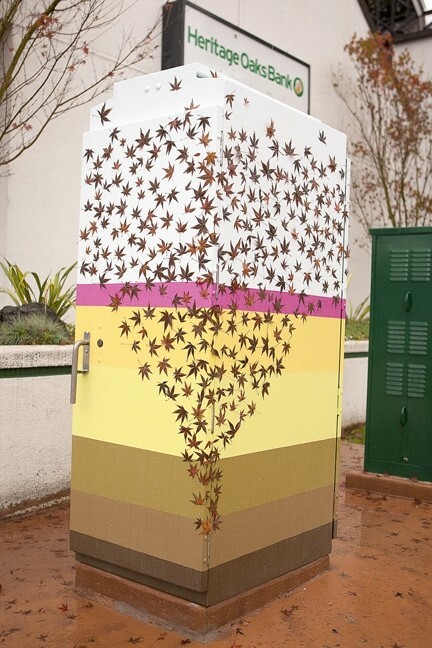 Now the box is leafless, and I’m thinking about one of the reasons the City and the Downtown Association began the project: to deter graffiti. Aside from the temporary leaf installation, all 16 boxes I visit today are tag free. It’s working! Douchebags like Soak and other mindless taggers whose stupid scrawls litter the city like canine urine spots on fire hydrants have been respectful enough to not write over the work of these artists. Of course, I still see tags all over the place: the corner of a building, a New Times distribution box, a light pole … everywhere. 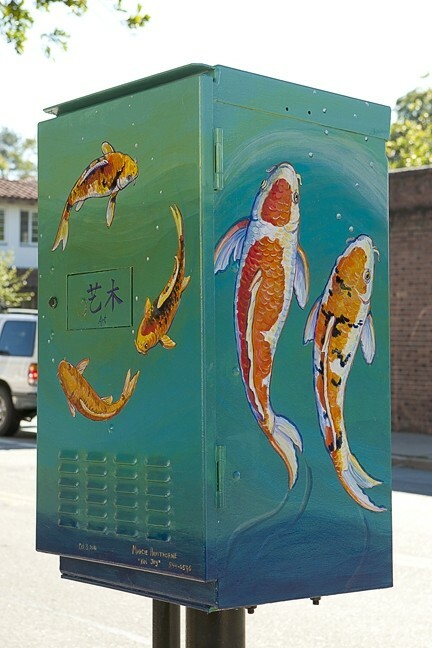 But each of these colorful utility boxes has been left untouched. 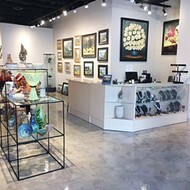 That’s not to say I like all the art. Some of it is downright awful. I’m talking to you, Joey Salazar (Osos and Monterey) and you Samantha Pereira (Santa Rosa and Higuera)! Blech! 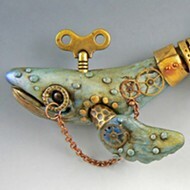 Most are pretty decent, like Colleen Gnos’s undersea scene with an octopus and brass diving helmet (Santa Rosa and Palm) and Lynn Hessler’s monarch butterflies against a blue sky (Higuera and Osos). 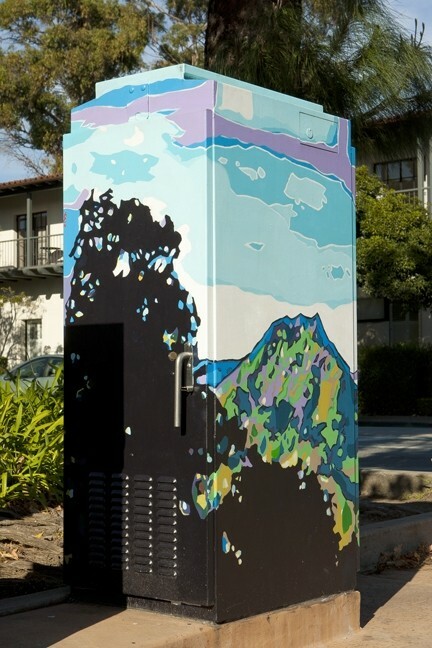 WALK THE WALK: The city of SLO, in collaboration with the Downtown Association, enlisted local artists to decorate utility boxes located throughout downtown SLO. 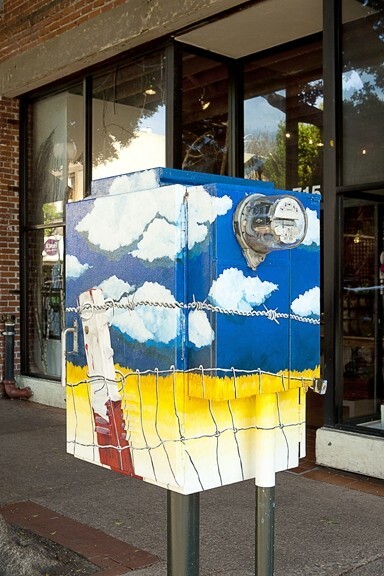 According to organizers, “The goal of the project is to use utility boxes as ‘canvases’ for original pieces of art as well as contribute to the vitality and attractiveness of the downtown while deterring graffiti.” Stroll the streets between Nipomo and Santa Rosa and Palm and Marsh and see if you can find all 16.
fluffy white clouds punctuated by red fence posts and barbed wire, which recalls our county’s ranching history (Higuera near Broad). 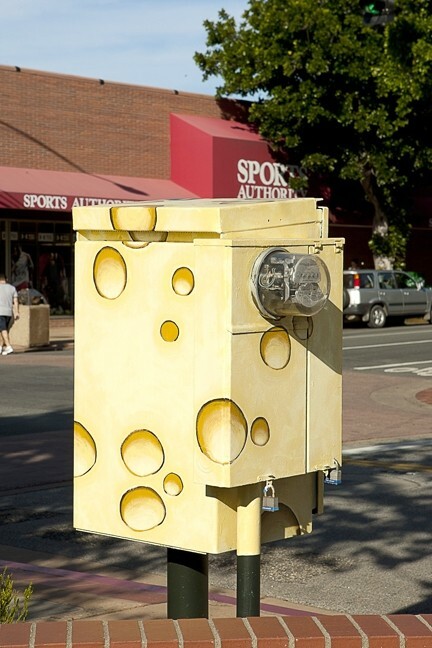 I also like the simple but fun Swiss cheese box by Jed Joyce (Marsh near Chorro). Joe Bachelor’s got three boxes, all of them great, but my favorite is his musicians and dancers on Higuera in front of the Apple Store. 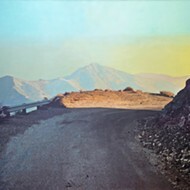 And right across from the New Times office is Ryan Williams’ Seven Sisters-inspired landscape (Marsh near Osos). Looking good, downtown SLO! 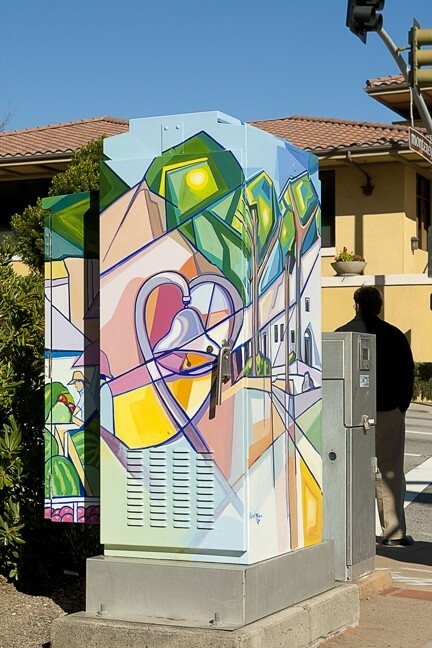 Cover the rest of the city in art, and we may finally lick this graffiti problem.